As I understand it, there were two things that could hypothetically destroy the One Ring: dragonfire and lava in a volcano. Unfortunately, the last dragon was killed before the events of Lord of the Rings, so that option wasn't available. However, surely there were other volcanoes in Middle Earth, even if they may have been much further away than Mt. Doom. Moreover, there were also probably plenty of places where the dwarves had dug deep enough to hit lava, which could have served the purpose equally well. Neither of these options would have been without danger, but surely almost anything would be better than, you know, sending a pair of hobbits deep into the heart of the enemy's territory. So why didn't the Fellowship just hike to some volcano on the far side of Harad, or get a dwarven guide to take them deep under some mountains, and cast the One Ring into the lava there? You are mistaken. Not any volcano would do, nor could dragonfire destroy the One Ring. Mount Doom had magical significance, since the Ring was forged there. ‘Your small fire, of course would not melt even ordinary gold. This Ring has already passed through it unscathed, and even unheated. But there is no smith's forge in this Shire that could change it at all. Not even the anvils and furnaces of the Dwarves could do that. It has been said that dragon-fire could melt and consume the Rings of Power, but there is not now any dragon left on earth in which the old fire is hot enough; nor was there ever any dragon, not even Ancalagon the Black, who could have harmed the One Ring, the Ruling Ring, for that was made by Sauron himself. I would also dispute the idea that the Dwarves ever delved down into magma. There's no indication I'm aware of that they did so. Gandalf fell in Moria, which was the one of the greatest and most ancient delving of the Dwarves, and Gandalf fell further than the Dwarves had delved, and he did not report it. ‘Deep is the abyss that is spanned by Durin's Bridge, and none has measured it,’ said Gimli. ‘Yet it has a bottom, beyond light and knowledge,’ said Gandalf. ‘Thither I came at last, to the uttermost foundations of stone. He was with me still. His fire was quenched, but now he was a thing of slime, stronger than a strangling snake. We have no reason to believe the other Dwarven habitations known in the West, in the Iron Hills and the Blue Mountains, were any more likely to have magma underneath them at any attainable depth. 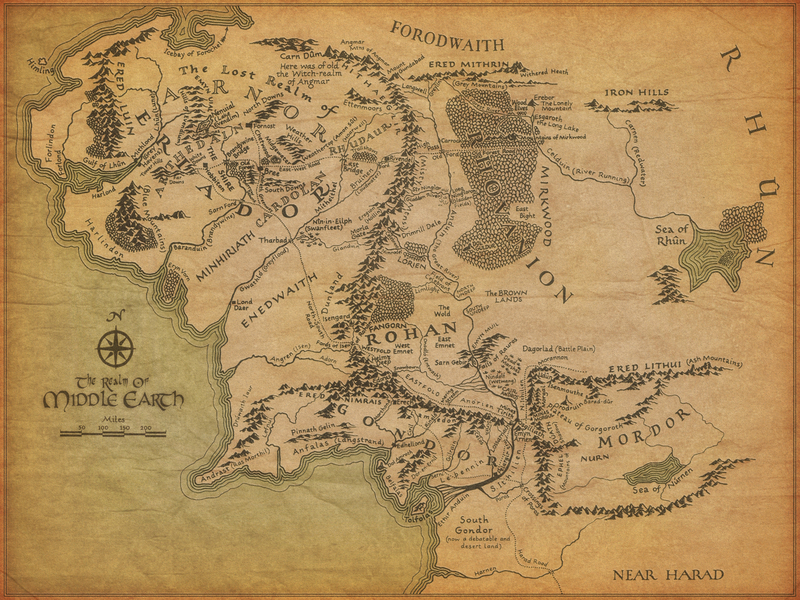 Moreover, there are no other known volcanoes in Middle Earth; they would have to discover them. Whatever volcanoes did exist were almost certainly in the south and east, realms also ruled by Sauron. The reason they had to take the ring back to Mount Doom is because that's where it was forged. Mount Doom was a rather unique volcano; Sauron specifically chose tro occupy Mordor because Orodruin (the elven name for the volcano) was there. He carved out a workshop, Sammath Naur, that fed directly off the lava within the mountain, and used that to do his crafting. The implication is that this mountain was in some sense the most powerful volcano in Middle Earth. Because that's where the ring was forged, that was the only place powerful enough to destroy it. We're led to assume that dropping it in any other volcano would have left it just floating in the lava, presumably to be spewed back to the surface in the next eruption. When Sauron began searching Middle-earth during the Second Age for a permanent dwelling place, his attention was immediately drawn to Mordor, and especially to Orodruin, whose power he believed he could use to his advantage. He subsequently established his kingdom based around Orodruin and "used the fire that welled there from the heart of the earth in his sorceries and his forging". The most famous of Sauron's creations forged at Mount Doom is the One Ring. In The Fellowship of the Ring, Gandalf explains that the materials of which the Ring is made are so durable and the enchantments with which it is imbued so powerful that it can only be destroyed in the Cracks of Doom where it was made. Orodruin is more than just an ordinary volcano; it responds to Sauron's commands and his presence¹, lapsing into dormancy when he is away from Mordor and becoming active again when he returns. When Sauron is defeated at the end of the Third Age, the volcano erupts violently. Sauron extended his own power into it, and was able to control its fires. It seems to have lain dormant when Sauron was away from Mordor, and sprung into life when his power grew. After the Downfall of Númenor, for example, the Exiles in Middle-earth first knew that Sauron had also escaped the Downfall when they saw smoke rising from Orodruin, and an Age later at the Council of Elrond (The Lord of the Rings II 2), Boromir says 'The Nameless Enemy has arisen again. Smoke rises once more from Orodruin that we call Mount Doom'. These two infer that when people saw activity from the volcano, it implied the Dark Lord was up to machinations at The Fire Mountain. The suggestion is that somehow his powerful magics were activating the volcano, i.e. causing it to respond. It isn't clear how Elrond or Círdan could know that throwing the Ring into Orodruin would destroy it - neither of them had had any part in the making of the Rings of Power, and both had refused Sauron's lore when he offered it to them. At this time, though, both Elrond and Círdan were themselves Ring-bearers (of the Elven-rings Vilya and Narya), and perhaps these Rings gave them special insight². Elrond says at the Council that there are no dragons remaining whose fires are hot enough to affect the Rings of Power, and that not even Ancalagon the Black could have harmed the One Ring. Something has crept, or has been driven out of dark waters under the mountains. There are older and fouler things than Orcs in the deep places of the world. Far, far below the deepest delving of the Dwarves, the world is gnawed by nameless things. Even Sauron knows them not. They are older than he. Now I have walked there, but I will bring no report to darken the light of day. This is the same reason that simply throwing it into the Sea wasn't an option. Not the answer you're looking for? Browse other questions tagged tolkiens-legendarium the-lord-of-the-rings the-one-ring or ask your own question. Could the One Ring be destroyed in any manner besides Mount Doom? What effect would the One Ring have on other people? What would happen if a Barrow-Wight had taken the One Ring and why didn't they? Why was the One Ring so fascinating? Why didn't the One Ring abandon Bilbo like it abandoned Gollum? Where is the “Ring-verse” inscribed on the One Ring?